Based in Nottingham, Arianne is no stranger to Peterborough. Back in 2015, she worked with the Green Backyard volunteers, gardeners and allotment holders to re-enact the Harvest Wain procession as part of Metal’s Harvest celebrations. Dressed in outlandish costumes as horses and passengers, the rowdy crew galloped up Bridge Street towards Cathedral Square to kick start the evening’s entertainment. As a performer, Arianne is fascinated with folklore, rituals and mysticism. During her time in Peterborough she became aware of Peterborough’s own standing stone; a small Neolithic relic displaced from its original site to make way for a housing development and now located outside the museum. 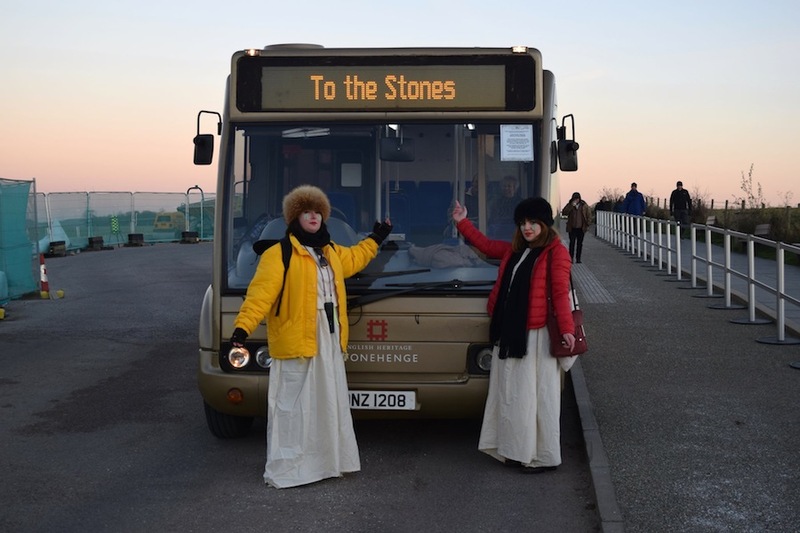 Considering the importance placed on standing stones elsewhere in the UK, it became Arianne’s mission to explore its speculative history and raise its profile in the community. Together with her long term collaborator artist Chloe Langlois, Arianne secured funding from Arts Council England to set up residence at Metal. They have brought academics and specialists to the city to carry out research and consultations around the stone. And, this is when the fun began. Arianne and Chloe’s performances draw on the quirks of folklore and, whilst honouring the traditions and history, they instil a huge sense of fun. Their aim with the Peterborough Stone project is to formally reintegrate the stone through public ‘ritual’ with its current site and with the local community. Intrigued? Their free performance will take place on Saturday 6th May at the two sites, Peterborough Museum and the Green Backyard – featuring as part of the Mayday celebrations. First workshop – with sound artist Droney Mitchell (aka Rebecca Lee), where she will be teaching performers how to perform the traditional song The Rolling of the Stones in a drone like and fashion. An interactive workshop using the computer programme Stellarium where we create a skyscapes for the Peterborough Stone and for the GBY. This will be based upon our findings with the archeoastronomer Daniel Brown who is helping us to chart the site. A day of making new age banners with HIP to be paraded as we process from the stone to the GBY. Expect neon paint, glitter and the Rolling Stones faces painted onto stones. 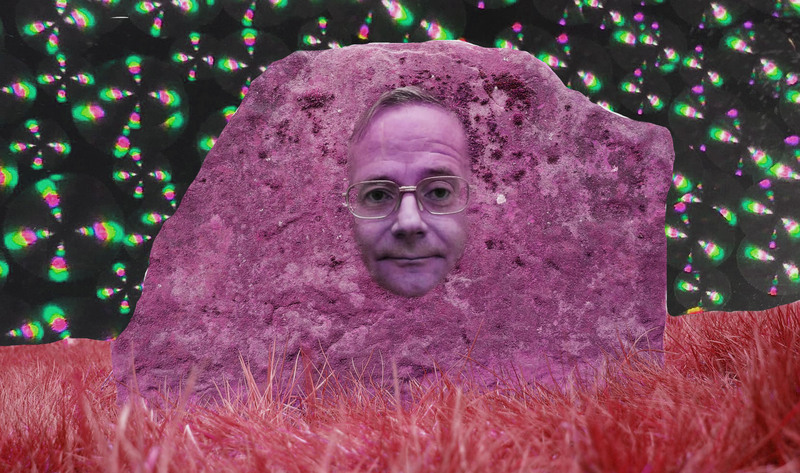 The green screen invites members from the GBY (or anyone really) to be filmed in front of a green screen, helping to contribute footage for the final film – think faces superimposed onto the stone and other such madness. Spending a day at the weekend where we go and chat to the volunteers asking them to nominate significant/magical/transformative objects. We will also be talking to them about their experiences under the threat of relocation and how they feel now that the site has been secured. We will also be giving out fenges and filming where appropriate. An exercise with the GBY, particularly those involved with the performance. A nominated representative from the GBY will take on the role/roll of the stone in an act of relic making and connecting the two sites. The “stone” will be rolled around outside the museum and then rolled again at the GBY. The stone costume will then be soaked in water and the water collected and put into vials. This echoes the history of relic making in Peterborough where the robes of Thomas Becket would be washed and the water sold off to pilgrims; whilst connecting the two sites together and helping to ritualise the process in which this happens. On the 6th of May the mobile Peterborough Stones will manifest themselves. As the sun rises they will make their way to the museum, where a small Neolithic standing stone sits. This stone is a small slither of rock, dull in colour and peppered with lichen; perhaps you’ve seen it before? Perhaps you’ve never noticed it lurking behind a banner or just thought of it as a badly weathered gravestone and paid it no attention. It is featureless and mysterious; it came from Orton Longueville, bought by the Museum Society in the 19th Century. They brought it here to save it from building works, it was important for one reason or another but no one is quite remembers why. So here it quietly sits; accidentally aligned east with the street layout, waiting to be realigned with its new site. On the 6th of May at dawn the Stone is radiating, it is ready to be brought back into ritual use. A cluster of living stones will gather around it and begin to form a human stone circle, a circle that moves and changes, as the stones become both the performers and the objects of ritual simultaneously. They invoke the Stone’s former ritual heritage whilst creating a new ritual for its current existence. The stones will later traverse to the Green Backyard, a site that has shared a similar sense of dislocation from the Stone, having also faced the threat of relocation and displacement through building developments. The stones will congregate around the Maypole and perform their circle dance, linking both sites histories whilst also celebrating the Green Backyard’s right to stay at their current site and further cementing their relationship with the land.